Shao Tian brings Ming Ming some food and tells her its time to eat. Ming Ming is sitting at her coffee table working on her script. 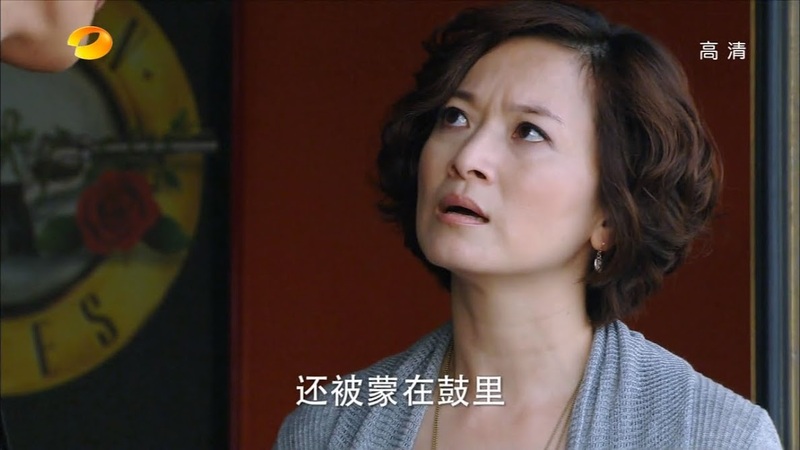 Shao Tian scolds her for staying up all night again as “old people” shouldn’t pull all-nighters. Ming Ming takes off her glasses and stretches. While she did stay up all night, she is energized and flowing with creative juices. Shao Tian tells her not to put up a front as he knows how hard it is on her to try to finish the script all by herself. Shao Tian requests she look after her heath first and foremost. Ming Ming then says that Pei Ni responded to her. Really? What did she say? She thanked Ming Ming for her encouragement and also posted a new entry on her blog. Shao Tian takes the laptop and reads Pei Ni’s blog post. Pei Ni writes about the storm, but how she is stronger now and will do her best to return things to the starting point and reset her life and career. Eason goes to the studio where Zhuo asks if he has considered signing the contract with her. Eason reminds her that he has already rejected the contract offer. If that is all, he needs to leave to get some sleep since he stayed up all night filming. He goes to leave and Zhuo asks if he will keep his opinion when Qiong Zi might be selling him off. What does she mean? Zhuo then tells him about the friend from Hong Kong who came to Taiwan to meet with Qiong Zi. Eason says that Zhuo must be mistaken, but she hands over a file for him to look at. It’s a contract with Qiong Zi’s signature. In that contract Eason gets a double cut taken from him. Zhuo tells him that its okay if he doesn’t sign with her, but he needs to be wary of the people around him. Can this contract be legit as I personally don’t see Qiong Zi intentionally screwing Eason over? Qiong Zi calls Ming Ming who is on set and tells her that Mandy from Hong Kong is supposed to be bringing the contract and other paperwork to go over. Qiong Zi forgot some documents at home and requests that Ming Ming pretend to be her assistant and keep Mandy preoccupied until Qiong Zi can get there. I smell a big misunderstanding brewing. Ming Ming doesn’t look comfortable with this request, but what other choice does she have? Ming Ming meets with Mandy who says she will wait for Qiong Zi in Eason’s dressing room. Ming Ming follows her and soon Eason enters. Mandy introduces herself and talks about the ad contract. Of course Eason has no prior knowledge (beyond his recent meeting with Zhuo) about the ad and has no idea what Mandy is talking about—especially when she calls Ming Ming Qiong Zi’s assistant. Eason shoots a rather dark look at Ming Ming as Mandy talks about also wishing to hire Pei Ni since they are targeting a mature audience. Ming Ming says she can’t make such a decision and Mandy says she will leave the business plan and contract with Ming Ming. Eason says he has no problem with the contract and fees as long as his “manager” Ming Ming says it’s okay. Uh-oh. Mandy leaves and Ming Ming hangs her head. Eason then takes her outside and demands to know when she became his manager. Ming Ming says it was all a misunderstanding. She accidentally met Mandy when she was with Qiong Zi the other day and Mandy mistook her for Qiong Zi’s assistant. So why didn’t Ming Ming clear up the mistake right away? She didn’t want to make Qiong Zi look bad. Eason says that such a trivial matter wouldn’t make Qiong Zi look bad and then he wonders what the two women are doing behind his back. Ming Ming then says that Qiong Zi asked her for a favor to pretend to be her assistant. Ming Ming didn’t think it was a big deal and agreed. So Qiong Zi drug Ming Ming into this matter? Ming Ming turns and says it isn’t a big deal since Qiong Zi only has good intentions for Eason. Ming Ming then goes on to say that if she could help Eason, then she has no problem pretending to be an assistant. Eason wonders why she would think pretending to be his assistant would actually help him. Does she even understand the duties and responsibilities of a manager? Ming Ming quickly apologizes, but Eason really isn’t happy with this at all. Ming Ming is 30 years old and can’t distinguish such matters? She needs to pull herself from her scripts and plant herself in reality. Ouch. I’m not saying he’s wrong, but he’s a little too hard on Ming Ming here. Pei Ni calls up and says she will be back at the studio to resume filming the next day. She hangs up her cell and then smiles as she looks around the apartment. She puts on her sunglasses and gets ready to leave when Qiong Zi rushes in. Both women are surprised to see one another and Qiong Zi looks rather unhappy. Eason sits in his car and recalls Zhuo’s words earlier. She asked him if he still doesn’t realize how much he’s currently worth. Since Qiong Zi spent so many years with him, it’s obvious the other woman wants to get everything back in one go. He’s really troubled and conflicted. Who to believe and trust? He goes to his apartment where an unhappy Qiong Zi waits. She tells him about running into Pei Ni and demands to know what he was thinking. He quickly snaps back for her to consider the situation before saying anything as Pei Ni had no other place to go. Really? Is that why Eason can treat Ming Ming so shabbily? Eason then reminds Qiong Zi that it was her idea to use Ming Ming to begin with. So, what, are the two women on the same side now? Qiong Zi goes to say something, but Eason cuts her off. Aren’t the two women both his managers now? This surprises Qiong Zi. She has no idea what Eason is talking about. Eason then says he bumped into her good friend Mandy. 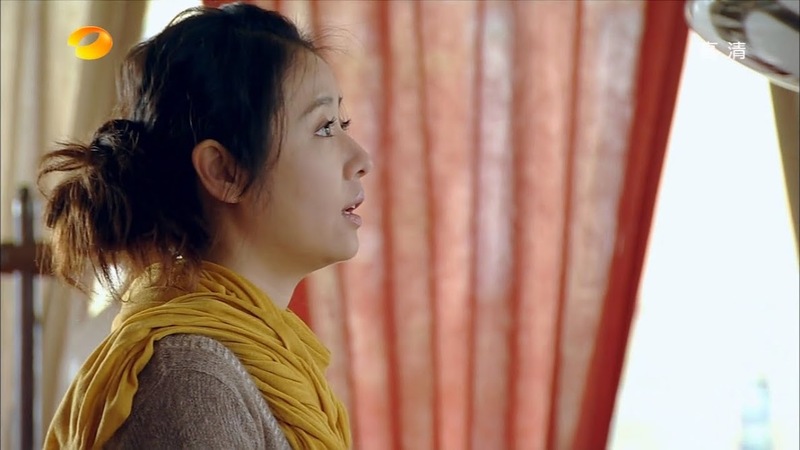 Qiong Zi tries to explain the situation and her tactics, but Eason won’t listen to her at all. He immediately cuts her off and tells her to do her job right without resorting to tactics and dragging Ming Ming into matters. If Qiong Zi doesn’t have the ability then she should just stay out of Eason’s work and personal life. Yowza. Qiong Zi is stunned. What does he mean? Doesn’t he know how hard she’s worked for him in order to get the contract? Eason talks about the impressive ad fees. She has no idea what he means. Eason then says since they haven’t signed the contract yet, just how big of a cut does she want—50/50? 60/40? Qiong Zi is hurt. How could Eason say such a thing? Before when she was finding events and opportunities for him he never cared about the cut or the money. As long as he was with his fans he was happy. What’s changed? Is this because Zhuo Jie wishes to sign Eason right now? Is that why he’s using any chance he can get to squabble with Qiong Zi? Now that he’s getting big again, is he going to dump the people who stood by his side and worked hard for him? 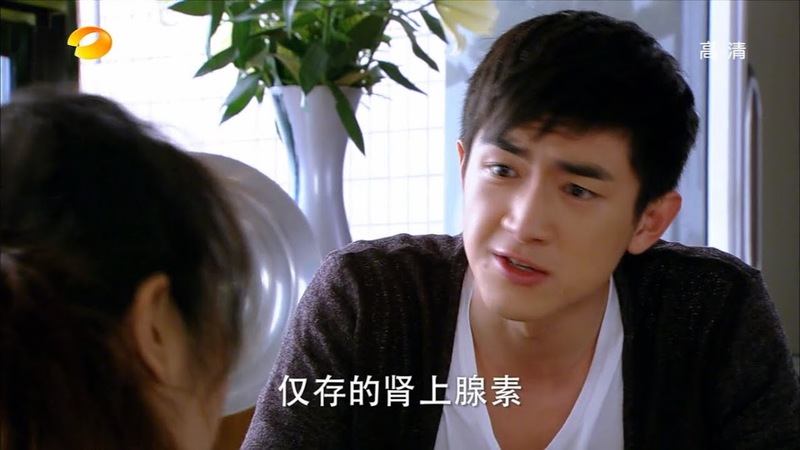 Eason jumps to his feet and says that it is Qiong Zi dumping him by putting self-profit about everything else. 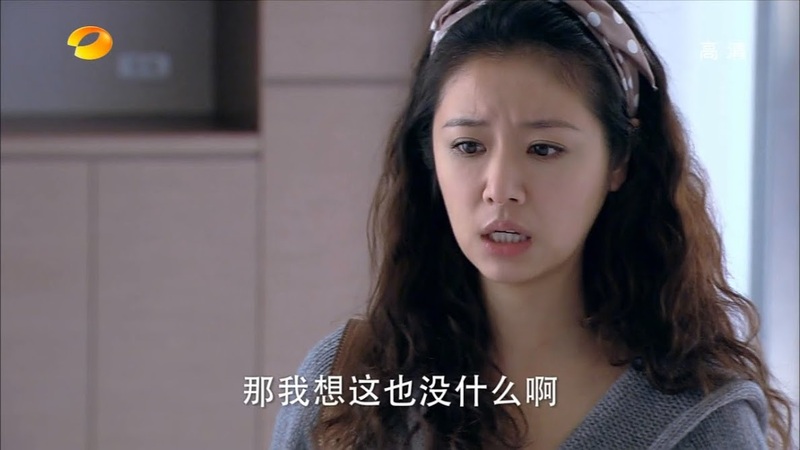 Qiong Zi says if she was really that greedy she would have dumped Eason ages ago when he was basically worthless. Why else would she stick with him when he was out on the streets? It’s very true—there was no guarantee that Eason could ever regain his former glory. Eason then pulls out the contract and demands to know what it is. didn’t she sell him to the agency in Hong Kong? Qiong Zi looks at the contract and Eason angrily points out the huge money cuts. Qiong Zi says that she did seek out the agency since they are popular and well-known. She did see the cut prices, too, but had no intention of taking such a cut. She figured she would work it out with the agency later. Qiong Zi was hoping that while Eason’s popularity was growing, she could help catapult him to the next level. Qiong Zi signed with the agency right away so they didn’t lose the chance, but wants to make the final decision after taking things over with Eason. That was the original plan at least. Eason, however, isn’t buying it since the contract is already laid out in her favor in black and white. Qiong Zi asks how he can say such a thing. Doesn’t he remember all she did for him over the years? Eason slaps the contract out of her hand and rips it up. He then pulls out the ad details and says Qiong Zi can take all the profits from it as her repayment in full. O.M.G. Are you kidding me? I get it that he’s angry and confused, but he should really take into consideration how much she did for him when he was nothing. Shakes head. Bad Eason. That’s just bad. I feel so bad for Qiong Zi here as Eason drops her. She didn’t deserve that. Eason leaves and Qiong Zi crouches and picks up the ad details. She places them on Eason’s coffee table and leaves his apartment fighting back tears. Ming Ming is sitting at home trying to work. She recalls Eason’s harsh words earlier and takes out her cell. She goes to call him, but can’t bring herself to push send. Meanwhile, Eason goes to her apartment and hesitates outside. He takes out his phone, but like Ming Ming, can’t bring himself to call. These two hopeless people. Ming Ming then gets a call from Zhuo informing her about Pei Ni’s return and requesting Ming Ming’s presence on set to explain everything to Pei Ni. The next day Pei Ni begins filming again. She confesses her true age to Fang Meng and vows not to admit to defeat. She will show everything she can do. A cut is called and reporters immediately swarm Pei Ni. She immediately hangs her head and apologizes for lying and setting a bad example. She plans to reset her life and be completely honest and more professional. This declaration brings a smile to Eason’s face. Ming Ming meets with Pei Ni to talk over the script changes and Pei Ni thanks Ming Ming for letting her speak through the drama script. Pei Ni talks about her past mistakes which made her realize that she has no friends. After reading through the script changes, it was like Ming Ming could really understand Pei Ni’s emotions. Pei Ni would really love to become friends with Ming Ming. Ming Ming smiles and says she is happy her writing resonates with Pei Ni. The actress then asks if Ming Ming will be penning the script for the second season. Before Ming Ming can answer, Pei Ni goes on to say how she has always wanted to play a character like Mei Guo who reflects deeply on and matures through love. Ming Ming says she understands totally. While love shouldn’t be the only thing that matters to a woman, when it comes…Pei Ni quickly finishes with “It becomes her one and only.” Who knew these girls would be so alike? Pei Ni then says that making friends isn’t hard at all. She was too much of a snob before. Pei Ni then says that Eason was right. This surprises Ming Ming. Pei Ni then reveals that she stayed in Eason’s apartment during the days she was missing. Ming Ming immediately recalls the night Eason came over and his lies. Pei Ni mistakes Ming Ming’s shock and explains that she did stay at Eason’s. What’s more, Eason gave her the courage to move on and reset her life. Ming Ming then flashes through all her moments with Eason. Pei Ni then says that since Ming Ming has written a lot of scripts, then she must know what Pei Ni is talking about. Ming Ming is so stunned she can’t reply. Pei Ni then hits her hard with another declaration—Pei Ni thinks she’s falling for Eason! Well… I still think Pei Ni and Eason suit each other more than Ming Ming and Eason. Anywho, Ming Ming leaves the studio in a state of shock. She recalls Eason’s words when he was defending Pei Ni after the scandal hit. She then recalls asking Eason where he dropped Pei Ni off at. Eason lied to her then. He then lied to her again about the plumber coming over. Ming Ming immediately rushes over to Eason’s apartment only to learn from his landlady that Eason is moving! The landlady walks off and an envelope falls to the ground. Ming Ming picks it up. It’s the letter Eason wrote to her before he disappeared! This couldn’t come at the worst time since she was already doubting him thanks to Pei Ni’s confessions. Ming Ming sits on a park bench and looks up at the sky fighting back tears. Shao Tian films a BTS for the drama and Ming Ming sits at home watching it feeling all the more depressed as it really shows how close Pei Ni and Eason have become while filming the drama. Shao Tian asks Ming Ming’s opinion. She only puts her face in her hands. Was it that touching? Shao Tian then comes and sits across from Ming Ming and says that she’s acting weird. What is wrong with his jie? Ming Ming says that it has finally hit that it’s the end of the drama. Confirming the ending makes Ming Ming’s eyes tear? Ming Ming says she thinks of the ending as a separation. Shao Tian thinks this makes sense as it was her first drama to have been done solo. Given her current emotional state, does that mean that the drama will have a sad ending with the two leads not ending up together? Does not ending up together make it a sad drama? Shao Tian doesn’t get this question. Ming Ming then rephrases it—having them stay together doesn’t necessarily mean a happy end either, does it? Still not getting it, Shao Tian asks Ming Ming to end the suspense already and tell him what she plans to do. Now that Rose has bloomed, there’s bound to be a day she’ll wilt. How did I forget that? When the story started, the lead naively thought she had happiness in her grasp and that they’d be together forever, but the flower season always ends—there’s nothing you can do about it. Ming Ming hangs her head and smiles—how foolish. 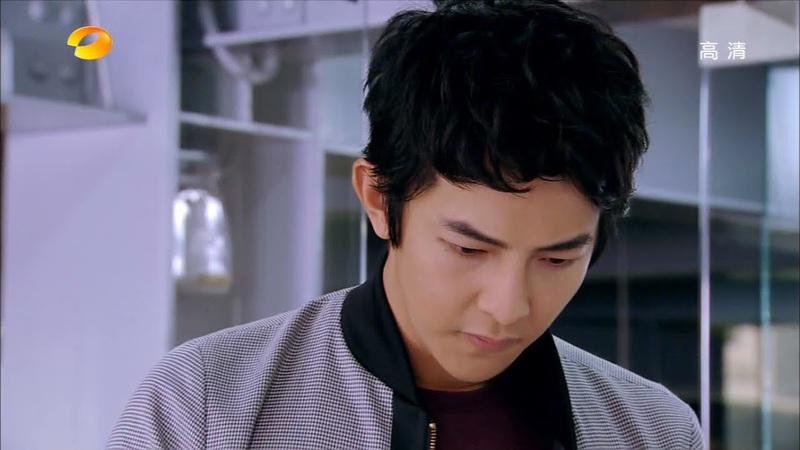 Shao Tian becomes more concerned and asks once more if she is okay. Ming Ming tells him she has to work so he should leave so she can concentrate on her ending. Shao Tian obeys her and wishes her good luck. We then see Eason’s Fang Meng in a wheelchair with a note to Mei Guo breaking up with her. That note is essentially Ming Ming’s parting words for Eason—not that he knows that yet. Ming Ming texts Eason and then heads to the beach. He rushes over to her and asks why she suddenly wanted to meet with him. He then says he had been wanting to meet and talk as well. Ming Ming says she suddenly had the desire to dip her feet in the water. She then holds up the shoes he gave her—they were his first gift to her. She then says that she has realized that lovers should never give each other shoes. Eason quickly says he doesn’t believe in such superstitions. I guess I should explain that, although it’s probably pretty obvious. You should never give your lover shoes as your are basically giving them the means to walk out on you. Interesting superstition, isn’t it? Ming Ming cuts him off and says she ready the letter. Eason tries to explain about the letter and what he was feeling at the time. Ming Ming again cuts him off—but those were his real feelings, right? She walks towards the water and Eason follows behind. True, he didn’t approach her with pure motives, but that was only at the beginning. Eason sincerely likes her now. Ming Ming then asks what he likes about her. Eason immediately replies that he likes that she’s cute/loveable and that she’s innocent. Ming Ming twists his words on him. Innocent or childish? Loveable or laughable? Eason asks why she talks about herself like that. Ming Ming says it’s because she’s being honest with herself. If she can be that honest, then why can’t he? There are women who match him better than she can, right? Eason has no idea what she’s talking about. Ming Ming doesn’t believe this and thinks it’s just because Eason is afraid of hurting her. She already knows how he protected Pei Ni. Ming Ming says that he owes her nothing. At least she had a beautiful relationship for a little while. So it’s enough. Sure, she has some lingering regrets, but she will live with them. She vows to always carry the Season that Rose Bloomed with her. She touches his face and says that they should break up. Ming Ming turns and starts to walk away, but Eason begs her not to be like that. Didn’t he say he’d become her perfect Fang Meng? Fang Meng wouldn’t let anything to defeat him. It’s time for them to move on. Eason rushes to her and grabs her. Ming Ming cries and begs him to let her keep what little is left of her dignity. Eason just pleads with her to not be like that and she yells at him not to make her hate herself. It was hard for a 30-year-old woman to come to her senses. Eason shouldn’t make her into a childish and laughable person, right? Ming Ming stops struggling and asks him to please let go of her and not look for her again as seeing him will only increase her pain. Hearing these words, Eason reluctantly lets go and Ming Ming runs away. Empty. In that moment, the entire world became empty. All the sweetness, bitterness, laughter, weeping, all the memories that we shared…all became empty. All that remained was a faint voice singing. And then we get a montage of our couple’s times together. Fairly typical at such a moment. Poor Eason. He did honestly fall for the princess-fantasizing Ming Ming. Will he really let her go as she wishes? And slightly off topic, I love Jiro’s song they play during this scene. Eason goes to the bus stop where he sees Ming Ming get on. He chases after the bus calling for it to stop and yelling her name. Of course, Ming Ming doesn’t hear since she’s listening to music and crying. And, oddly enough, the bus driver doesn’t stop. Ming Ming lifelessly returns home where Shao Tian greets her. He’s making her dinner after doing the dishes. Ming Ming then gets a call from her mother asking for an autographed picture of Ming Ming’s boyfriend. Ming Ming says that she has no such thing as she has broken up with Eason. Overhearing this, Shao Tian angrily leaves he apartment and heads straight on over to Eason’s where our leading man is brooding. Shao Tian greets Eason with a punch and reminds Eason about accepting them dating, but not allowing Eason off the hook if he hurts Ming Ming. Shao Tian…can’t fight. At least not Eason and win. Eason will not let Shao Tian beat him up. He throws the younger man to the ground and asks what right does Shao Tian have to protect Ming Ming since he doesn’t have the ability to do so. 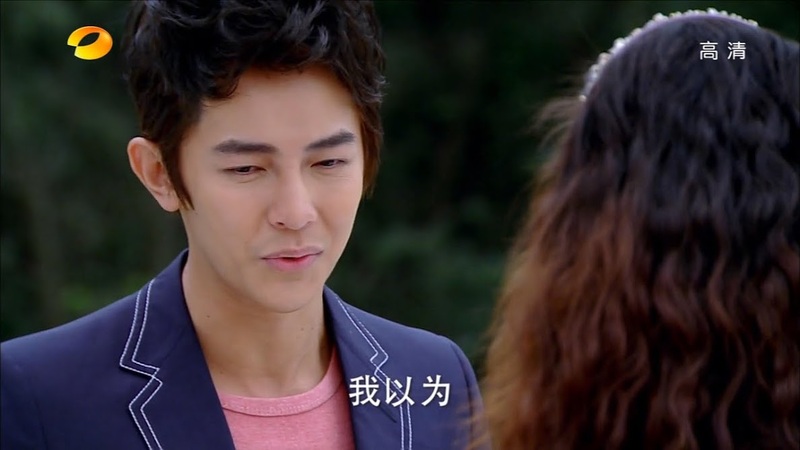 Shao Tian yells that he is at least better than Eason. You like Ming Ming, right? The pathetic part is you don’t have the guts to admit it. Way to tell it like it is Eason. He then yells that Shao Tian doesn’t have what it takes to protect Ming Ming. Shao Tian climbs to his feet as Eason lunges at him. We then cut to Shao Tian returning to Ming Ming’s apartment and finding her sleeping on her couch with the TV on. 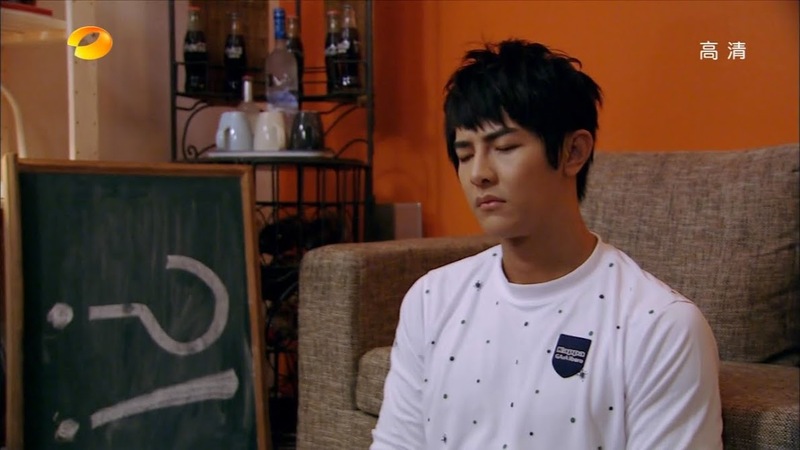 Shao Tian turns off the TV and Ming Ming wakes up. He smiles at her brightly, before it fades as he sees her teary eyes. Ming Ming then asks why drama love stories last forever. Shao Tian says she’s the writer—why does she ask him that question. Ming Ming then says she can never write her own love story well. She sighs and says she failed again. Shao Tian says that’s fine as she still has this little brother and his shoulder to lean on. Ming Ming then pats the seat beside her and Shao Tian happily smiles before going over. Ming Ming sits up and puts her head on his shoulder and tells him it’s different this time since she initiated the breakup. 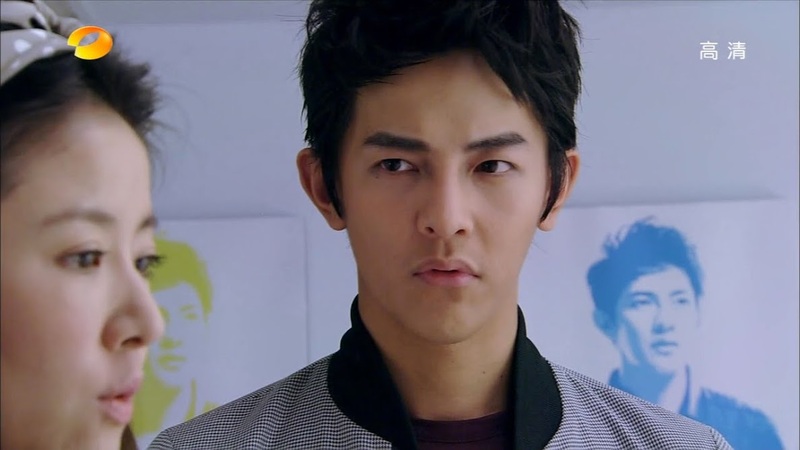 What does Shao Tian think? His jie is brave and strong, isn’t she? It’s strange though, once the breakup becomes reality, her strength and courage dissolve into nothing but pain. She touches her chest and says there is a lot of pain right there. 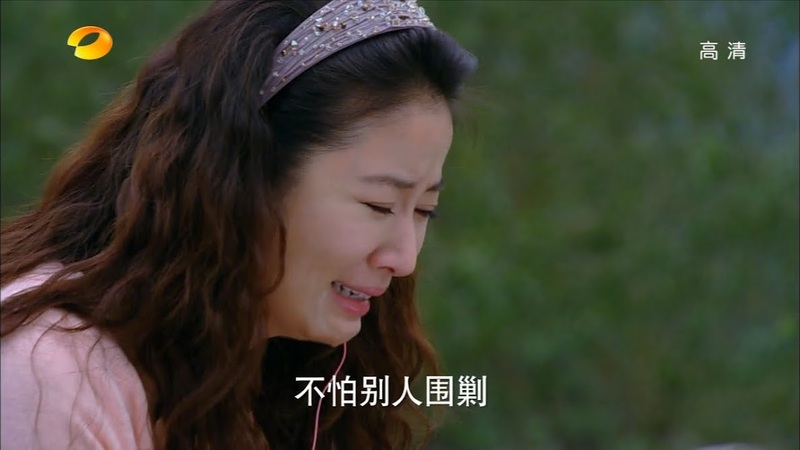 Shao Tian tells her that feeling such pain means she once loved Eason a lot. After the pain, after the tears, she’ll mature a little more. In fact, the breakup is the start of a new relationship. Eason was way out of line when he blew up at Qiong Zhi Mommy & Ming Ming. 😦 I feel like this episode really made Ming Ming get out of her fairytale world. I’m glad she had the courage to break up with Eason (even though later on she is clearly in denial of her feelings towards him). It was sad to watch but at the same time, I think it’s something Ming Ming needed. That fight scene was just so silly and anticlimactic. Like it was thrown in. We have Shao Tian start off strong and then end up a complete weakling. And while you could argue Eason kept his relationship to protect Ming Ming, he never could publicly declare his feelings for her, either. It’s like a double standard.